So much yarn, so little time. : Meerkats boldly going to SciFi Convention! Oh my - I'm so excited! Do you remember when I told you about meerkat-fan Barry who took Scotty Meerkat to meet William Shatner? Barry's just been to another convention - and just look!!!! 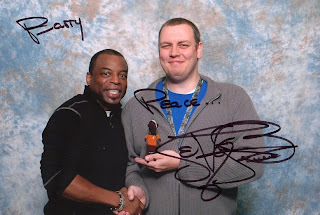 Photo above is Barry with LeVar Burton, who plays Geordi LaForge in Star Trek TNG and of course his mini-me Meerkat. Next is the very lovely Nicole de Boer who plays Ezri Dax in Star Trek DS9 - she looks as if she quite likes being a meerkat! 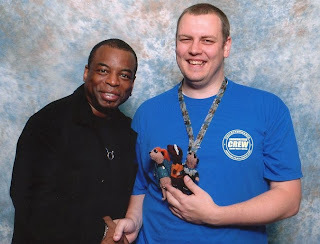 And finally - LeVar again, this time with 3 MeerTrekies: Dr Beverly Crusher, Geordi, and Ezri. Both humans look like they're having fun! 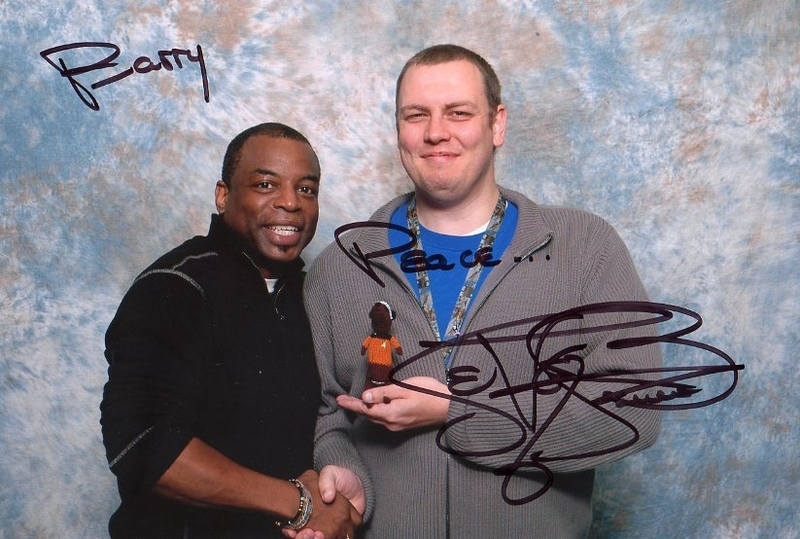 I can't thank Barry enough for getting (and sharing!) these photos, it's almost like I'm really there!